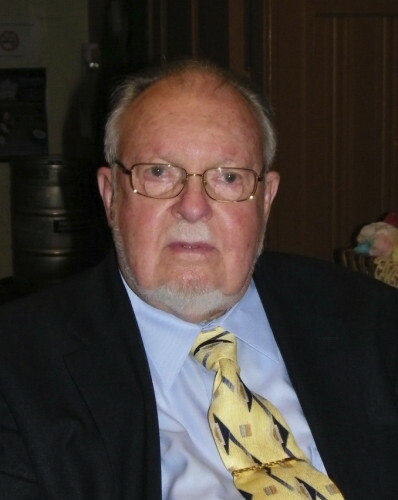 John Bunyan Bailey, was born on January 11, 1924 in Abilene, Texas and passed away on June 14, 2014 in Dallas, Texas. John was adopted by Noah Basil Bailey and Lovey Patterson Bailey as a newborn and was their only child. He grew up in Bradshaw, Texas, graduating from Bradshaw High School in 1942. 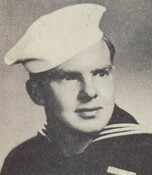 He then entered active service in the U.S. Navy on January 9, 1943 and served until July 15, 1947. He served in the U.S. Naval Reserves until called back into active duty on August 25, 1950, during the Korean Conflict and served until December 3, 1951. John married his wife, Sallie Ward, on May 27, 1951, while home on leave. John and Sallie were long-time members of First Community Church of Dallas. He worked at Cokesbury Bookstore in downtown Dallas until it closed, then became a Security Officer at Republic National Bank, eventually retiring from Bank of America at age 72. John was active in his church, his neighborhood and community groups, and among local Democratic organizations and campaigns. He was a loving man, devoted to family and friends. John is survived by his wife, Sallie Ward Bailey; daughter, Karen Logan and spouse, Paul; daughter, Gilda Bailey; son, Shannon and spouse, Marlon Cortez; grandchildren, Noah Bailey and spouse, Lindsey, and Siobhan Grantham and spouse, Sam; great grandchildren, Sean and Malcolm Grantham and Juniper Bailey. The family would like to thank all of the caregivers who helped our father maintain his independence for as long as it was possible and for those who cared for him with skill and compassion in his final weeks. Celebration of Life will be held at 2:30 PM, Wednesday, June 18, 2014 at First Community Church.